Named in honour of the great Black Caviar, the Group 1 Lightning Stakes is a straight race down the Flemington straight and it has created a big following with punters. Betting on sprint racing is big game in Australia and the Black Caviar Lightning Stakes is the first chance punters get to look at the Group 1-quality thoroughbreds in the new year. With names such as Sunlight, Nature Strip and Redzel among the nominations, we're already salivating. It would be fitting for a mare to win the Lightning Stakes and Sunlight has all the makings to turn age-group form into winning weight-for-age form. 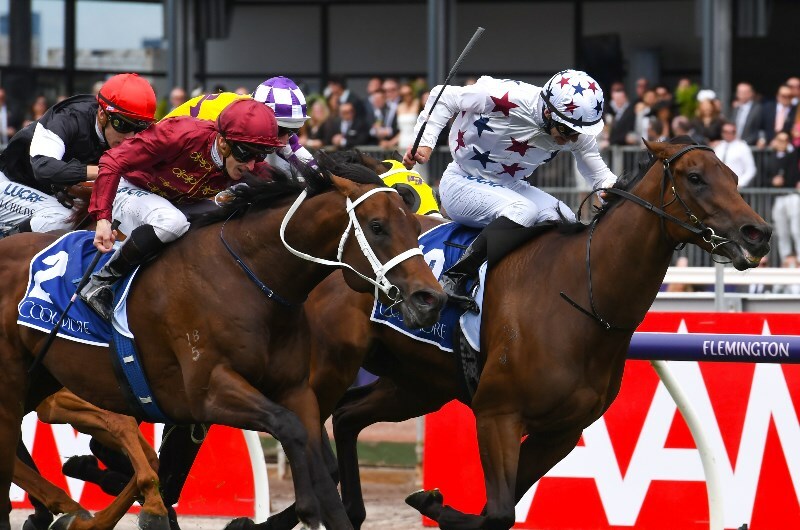 She gets in well at the weights here against the older horses and although her Group 1 victory in the Coolmore Stud Stakes and Magic Millions win were against age-group horses, she looks like a natural sprinter at all levels. Her biggest test came in the Manikato Stakes at Moonee Valley where she ran seventh but she was held up throughout the entire race and given that she followed that up with a Group 1 victory shows her true heart. Her eight wins from 12 starts has made her easy for punters to follow and she represents value here. We wouldn't usually consider Zousain good enough to beat the likes of Sunlight and dual The Everest winner Redzel but the weight-for-age conditions suit the three-year-old. Trained by Chris Waller, the son of Zoustar finished second behind Sunlight in the Coolmore Stud Stakes down the Flemington straight last campaign but his best performance was running a close second behind The Autumn Sun in the Group 1 Golden Rose Stakes. The Autumn Sun is the next big thing to come out of Australia and any form behind the colt will stack up nicely. 9.00 is a fair price from bookmakers and when the weights come out, we would expect punters to take notice and back him heavily. He's one runner which won't enjoy the weight-for-age conditions as an eight-year-old but he loves running in a straight line and that makes him a winning threat at odds. The Lindsay Park-trained gelding won the Black Caviar Lightning Stakes last season before backing that up with a Newmarket Handicap, which also came down the Flemington straight. He's awfully tough to beat when he has his mind on the game and if he can carry 58.5kg to victory in this race last year, he can do it again at odds of 17.00.